As the Arctic ice cap dwindles, so do the polar bears. In a two year span, from 2004 to 2006, a bear population living in northern Alaska and northwest Canada fell between 25 to 50 percent, before easing up to about 900 animals in 2010. Overall, in the decade between 2001 and 2010, bears fell 40 percent from a high of more than 1,200. Without thick ice in the Beaufort Sea, these polar bears can't venture out in search of aquatic seals (the most common entrée on the bears' menu). But, as researchers from Canada and the U.S. wrote in a report published Monday in Ecological Applications, another factor could be at play: not enough seals to begin with. Although the numbers of adult bears ultimately stabilized over the course of the study, the outlook for young bears mirrors the bleakness of the Arctic. "Of the 80 cubs observed in Alaska from 2004 to 2007, only two are known to have survived," U.S. Geological Survey statistician and study author Jeff Bromaghin wrote. He called for additional monitoring to learn more about the bears - why the bear numbers grew toward the end of the survey, for example, remains a mystery. 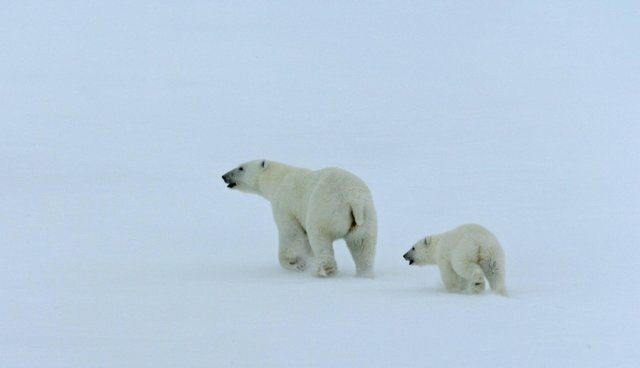 The International Union for the Conservation of Nature - specifically, its Polar Bear Specialists' Group - will use the report to track this and other polar bear populations across the globe. 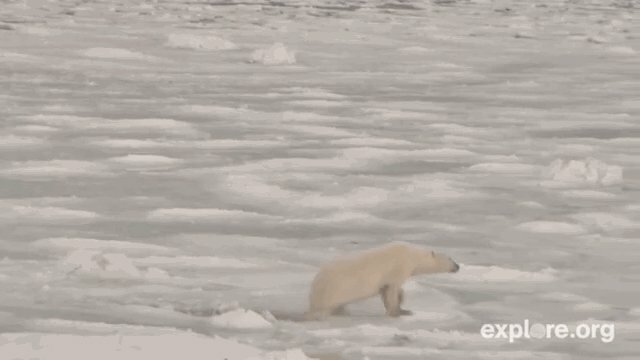 Scientists concerned about polar bears are also turning to new technologies, like sampling DNA from polar bear pawprints or watching the bears from space by way of satellite.